Our Team – PROS Consulting – Inc.
Leon is the founder and President of PROS Consulting. 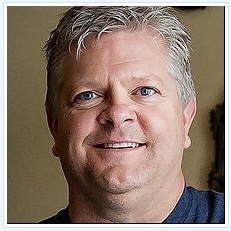 He has more than 29 years in parks, recreation, and leisure services. Leon is a recognized leader in applying innovative approaches to managing parks and recreation organizations. He has held positions as Director of Parks and Recreation in Indianapolis, Indiana; Executive Director of Lake Metroparks in Lake County, Ohio (Cleveland vicinity); and Director of Parks and Recreation in Jackson County, Missouri (Kansas City). He received the 1994 National Park and Recreation Association’s Distinguished Professional Award for his progressive and innovative thinking in management of public parks and recreation entities.Leon is routinely invited to present his management and development philosophies at conferences, workshops, and training across the United States, as well as internationally. He is co-creator of the Community Values ModelTM, a business model that synthesizes community and stakeholder input into a strategic plan. He regularly addresses sessions at the National Park and Recreation Conferences and has served as a board member and instructor at the Pacific Revenue and Marketing School in San Diego, California and the Rocky Mountain Revenue and Management School in Colorado. Katherine has over 25 years of experience across a wide spectrum of industries. She is currently responsible for managing all the HR and Admin operations for PROS. Mr. Svetz has 20+ years of experience in developing operating and managing parks, recreation and sports complexes at the local government level including 17 years at the executive management level. He has successfully managed and helped create self-sustaining operations of multi-million dollar sports and recreation centers, golf courses, and a Major League Baseball Player Development and Spring Training complex. He has led several system-wide and facility specific planning initiatives that have yielded significant economic, social and cultural benefits in the cities he was in.Since joining PROS Consulting, he has led several projects focused on business planning, capital development, and strategic implementation. His on the ground development and operations background combined with excellent project management skills and organization have assisted in the creation of innovative and fiscally sustainable projects across the United States and Canada. Will has been with PROS Consulting since 2004 and serves as the project manager on master plans, strategic plans, feasibility studies, and business plans for a variety of organizations, including municipal, state, and not-for-profits. Prior to joining PROS Consulting, he worked in the municipal golf course industry.He also leads many business development initiatives for the PROS Consulting Team and its partners ensuring efficient communication and progress across multiple projects and geographies. He has specialized experience in logistics management for various components of the planning process and serves well in a wide range of consulting assignments.His varied and extensive experience gained from working on over 100 planning projects proves to be a valuable asset as he serves various aspects of project planning including task development, scheduling, solicitation of community input, status reporting, performance, and report development. 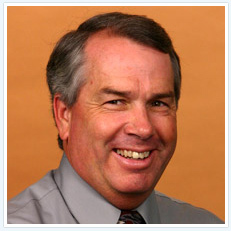 Philip Parnin has 25 of years of experience in the field of parks, recreation, and leisure services. He has managed and led park development and sustainable operations at the executive level for over 16 years (including over a decade as director). 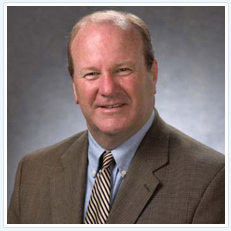 In his leadership role, Philip established standards for improved efficiencies and operations by developing system-wide business plans, enterprise fund business plans, strategic master plans, recreation plans, marketing plans, site master plans, capital improvement plans, maintenance plans, trails and greenways plans, emergency action plans, and feasibility studies. Philip’s field experience includes diverse municipal settings including: county, city, town and township district. His experience is enhanced by previous experience as the Indiana Park and Recreation Association President, along with serving on the Board of Directors. Philip currently serves as the Treasurer of the Indiana Park & Recreation Foundation where he has advised the board to financial gains beyond expectations. His approach to planning helps agencies transform ideas into successes that can be leveraged for even greater success. Austin has held various positions in the non-profit and public sectors including positions with the Indiana Department of Natural Resources, Boy Scouts of America, Young Men’s Christian Association (YMCA), and Clemson University. As an experienced project manager, master and strategic planner, facilitator, organizational consultant, professional trainer, and course curriculum developer, Austin has coordinated park and recreation projects at the local, state, federal, and international levels. Previously, Austin was a project manager for the Eppley Institute for Parks and Public Lands at Indiana University where he served as Program Administrator for the World Parks Academy, an international certification program for World Urban Parks, formerly known as the International Federation of Park and Recreation Administration (Ifpra). Additionally, Austin served as course coordinator for the W. Edwards Deming Award winning Facility Manager Leaders Program (FMLP) for the National Park Service (NPS). Currently, Austin serves on the Board of Directors for the Indiana Park and Recreation Association (IPRA) and the Indiana Parks Alliance (IPA). Sarah’s academic background in communications and business coupled with her experience in the private sector on the sales side equips her strongly to lead and support the market research and business planning functions of all key PROS projects.Her strong analytical skills coupled with a strong business background allow her to provide an in-depth perspective to understand the market potential and position the facility and its offerings to best meet the users’ needs.She routinely supports project managers on a variety of tasks ranging from competitor analysis to GIS mapping as well as demographics / trends assessments and establishing levels of service standards for agencies all over the country. Nick comes with several years of experience in the hospitality industry along with academic credentials in economics. His background is a strong asset for a variety of market research and technical analysis that is performed as a part of master planning, needs assessments, business plans and feasibility studies conducted by PROS. After spending nearly a decade as a professional, Kristina has gained much experience in the field of parks and recreation and brings a wealth of knowledge to the PROS team, in particular in the area of aquatics. Through her experience, Kristina has gained a unique perspective on community values, and focuses her work on the effective and efficient delivery of services that meet the users’ needs.Since joining PROS, Kristina has utilized her formal business education and experience as well as her strong organizational and analytical skills to lend support to a variety of projects including but not limited to aquatic center feasibility studies and standards, master planning and maintenance operations plans. Brayton comes to PROS with an academic background in business along with several years of previous management and customer service experience. All of which provide him with the skills and knowledge needed to assist the PROS team with market research for various projects. Since joining PROS, Brayton has utilized his formal business education and experience as well as his strong organizational skills to contribute support to numerous projects including master plans, business plans, and feasibility studies. Mike Shellito has been a leader in municipal government and the parks and recreation profession for over 35 years. Mike retired as City Manager for the City of Roseville where he was responsible for operation of a full service City with 2,000 employees and a budget of $450 million. Prior to serving as City Manager, Mike served as Assistant City Manager/Community Services Director and Parks, Recreation and Libraries Director.As Director of Parks and Recreation, Mike oversaw the planning and construction of 50 neighborhood and community parks in Roseville.Under Mike’s leadership, the Parks & Recreation Department won numerous national and statewide awards for park & facility planning, recreation programming and for maintenance. Mike also received several individual awards, most notably the California Parks and Recreation Society’s Hall of Fame Award and the National Recreation & Park Association’s Distinguished Service Award for his leadership and accomplishments in advancing the parks and recreation profession. In 2010, The Roseville City Council recognized Mike’s 30 years of service and his extraordinary contributions to the Roseville community by naming the City’s new $12 million indoor pool the “Mike Shellito Indoor Pool.”Mike’s visionary approach to public service has made him a popular keynote speaker and professional trainer both nationally and internationally. 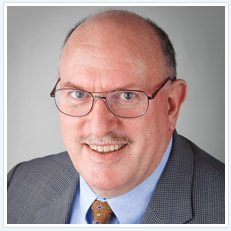 He is a graduate of Harvard University’s John F. Kennedy School of Government’s Executive Program and the Disney Institute.With his retirement, Mike is now pursuing his love of training and organizational development with his own new company, Shellito Training and Consulting and as a Strategic Partner with PROS Consulting. Mike heads up the west coast office of PROS Consulting in Roseville, California. Allen has more than 25 years of experience in governmental operations and finance. He has managed a wide range of consulting assignments covering rate studies, cost-of-service studies, organizational analysis, and accounting, financial, and customer information system selection and implementation. Allen’s industry experience includes public utilities, public works agencies, and city and state agencies. He has also provided advice on rate litigation and has prepared rate-filing packages for rate cases at Water Commissions and the Public Utilities Commissions. As a Certified Public Accountant, Allen brings much expertise to PROS. Due to his extensive experience in business plans and revenue studies, Allen is able to help clients with many financial functions and organizational development. For over twenty-five years, Scott Vollmer has served as a project manager in both the for-profit and nonprofit sectors. During his eighteen-year for-profit tenure, he spearheaded projects for a number of Fortune 500 companies. Scott brings a breadth of experience in client reviews and evaluations, the acquisition of data, the identification of key project elements, sales and presentation literature development, the establishment and management of deadlines, as well as thorough follow up. Scott also spent six years as a freelancer, writing and researching grants and completing technical writing projects for small and mid-sized nonprofit organizations as well as the private sector. Most importantly, Scott’s client management skills and attention to detail result in satisfied customers. He and his wife, Cathy, enjoy their family and four special grandchildren. Scott does public speaking on entertaining life subjects for various groups, organizations, and company events. Dr. Schwartz has experienced a long career serving significant park and recreation organizations as the Executive Director and lead administrator in the Midwest and on the West Coast of the U.S. His career has provided him with management responsibilities of a significant diversity of organizations large and small.In addition to serving as an Executive Director, he has been the principle manager of destination facilities in San Francisco including oversight of large national attractions such as Candlestick Park; the site that hosted the 2009 President’s Cup, Harding Park Golf Course, and Camp Mather a 500 person campground located in Yosemite National Park.He offers significant experience when managing local attractions as well including indoor tennis clubs, ice arenas, aquatic and beach facilities and golf courses. Throughout his career he has assisted or directed strategic planning and master planning studies of over 30 communities. The most recent planning process yielded $20 million in capital improvements in a community of 12,500 residents.In addition, he is the brainchild of a mentoring program designed to help administrators and staff become improved managers of their operation systems. 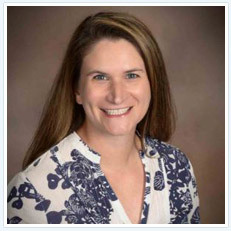 Margaret is a Senior Consultant to PROS Consulting, Inc. With over 15 years in business, policy, and scientific consulting, she brings experience across three continents in strategic analysis, business planning, and park planning and administration. Margaret received her Bachelor of Science in Environmental Science from Iowa State University and Master of Business Administration from the University College Dublin, Smurfit Graduate School of Business. Her professional experience includes positions with the National Parks Conservation Association, Henderson County (NC) Soil & Water Conservation District, Traidlinks/AmfriFarms, Indiana University, Waterborne Environmental, Inc., and StatFutures, Inc. As a consultant, educator, coach, and entrepreneur, Margaret has led change in organizations that range from small start-ups to federal government agencies through her ability to isolate risk and leverage opportunity. Outside of work, Margaret is Vice Chair, Board of Directors, of the nonprofit Giving Back to Africa.